Whether installing a new lawn or renovating an existing one, our local lawn care experts use their knowledge of the area and it’s environment to devise a lawn care program tailored to your lawn’s requirements. Enhance your curb appeal with a great looking lush green lawn today. 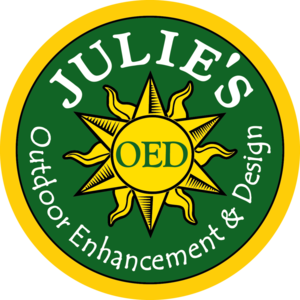 Why use Julie’s OED lawn care? State-licensed pesticide applicators performing each application, using ONLY premium products.